You can add festive aroma and appearance with some natural décor, or you can go completely vintage with a few textured and antique items. Whatever your preference, we have a few good ideas for making your mantel come to life for the holidays. Introduce the beauty of your natural surroundings to the indoors with some evergreen branches and pine cones. If you prefer to go a step further, consider adding fruit such as cranberries, apples, oranges – anything that gives your décor more depth. Arrange the branches where they hang off the mantle to give it a wild look all the while situating the other parts of your décor to make it look like they’ve randomly fallen in their place. Remember, nature is unpredictable. 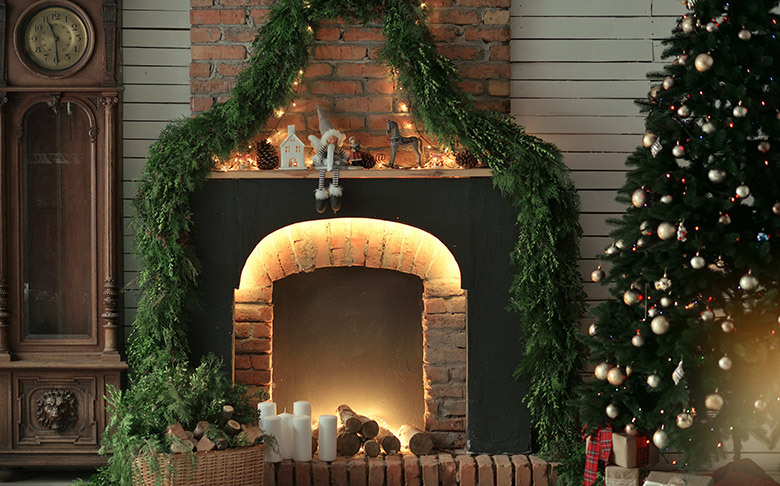 Ensure your fireplace mantel for Christmas is too. 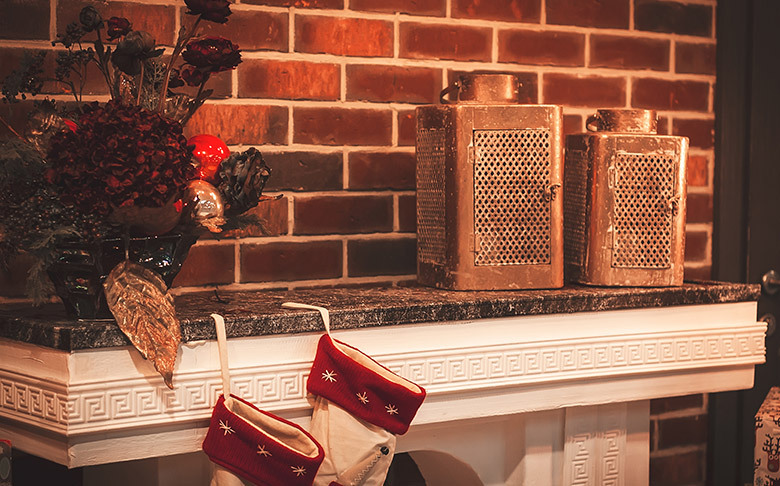 While the traditional reds and greens of the holiday season are expected, those aren’t the only colours worthy enough for your fireplace decor. In addition to showcasing the spirited colours of the season, layer them with bright colours such, as pink, yellow, orange, baby blue, and even whites to create a magical look that’s going to be fun and festive. For a traditional look that’s also modern, decorate with metallic gold and silvers. Hang bright gold and/or silver metal decorations above the mantel. From there, adorn it with gold candles, tinsel, fine antique silver, and more. Mix-and-match to create a bold look to create a serious, Christmas vibe that also feels inviting and homely. Grace your fireplace mantel with lanterns (the older the better) and tall candles of any colour (though gold and silver work best) to create an atmosphere that feels vintage yet modern. If you love this look and have older antiques (e.g. silver dishes), add them into the mantel. Antiques are one of the few items that can be implemented with ease into any fireplace mantel, and this example is no exception. Play with the lighting and look of the lanterns and candles to make your mantel feel like Christmas! Whatever you decide—a more traditional look or something extremely modern—be sure to make your mantel match your personality. Play around with your theme: add items, take them away, eventually you’ll find what fits.